So, you want to know about our juice. Well that's our favourite topic :) Our flavours were create with one main goal, make them taste as good as the real thing! Keeping it simple, is not as easy as it sounds when it comes to making great ejuice! We've spent months tweaking our flavours so that they taste as good as they sound. We'd like to thank all of our customers and followes for their great response to our flavors. Freshly picked raspberies, lots of them! Simple, smooth on the inhale, yet still full of flavor on the exhale. With RAZBERI you will find that this flavor is the ultimate all day vape. Once you've tried it, you will just keep coming back for more. A succulent Banana and Mango smoothie, that is sure to be your 'lift me up'. Taste the summer when you vape these carefulyl blended tropical fruit. If you're feeling like something a little more exciting, it's time for Bango! 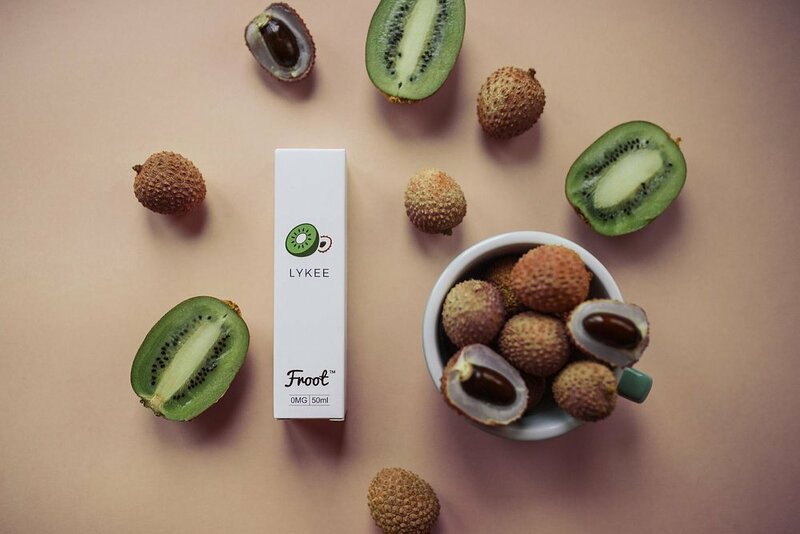 Our latest addition to the Froot range, Lykee is competing for the favourite. A tangy Kiwi blend with sweet lychee makes the perfect mix for another all day vape. This flavor is guaranteed to make you a Froot fan. Want to stay in the loop? Sign up and we'll keep you posted.